Of all the closing expenses a buyer will pay at time of closing, the title bill will be among the largest. This article from Nolo.com explains the importance of having this insurance when buying your home. Getting title insurance is one of the standard steps home buyers take before closing on a home purchase. Title insurance is crucial for home buyers because it protects you and the lender from the possibility that your seller doesn’t — or previous sellers didn’t — have free and clear ownership of the house and property and, therefore, can’t rightfully transfer full ownership to you. Even though the risk of calling on the insurance for coverage is relatively low, there’s a high value on what you stand to lose if you go without coverage — in fact, you could lose the house itself. Your attorney will order a title report soon after your purchase agreement is signed. Usually your attorney will choose your title insurer for you, from one of the five major U.S. title insurance underwriters. What Could Happen If You Don’t Get Title Insurance? Here’s how things could go wrong. At the most extreme, the seller may knowingly try to sell you a home he or she doesn’t own. There have been instances of renters posing as sellers. However, typical title issues are less worthy of a crime show, but more complicated. For example, the seller might have co-purchased the house ten years ago with a brother he hasn’t talked to since and is unaware that he now needs his brother’s signature to sell. Or a problem might be lurking in the more distant past. For example, the seller might have bought the place from a single woman, not realizing that her ex-husband still co-owned the property and hadn’t signed off on the sale as required. Or the seller might have inherited the house under the terms of a will that — oops — turns out to have been out-of-date and a more recent will leaves the house to someone else. Not all title problems involve the whole house. For example, liens may have been filed against the house — that is, people or agencies may have, within the public records, legally claimed the right to be paid from the proceeds of the property’s sale, in order to settle the owner’s debt to them. Typical debts include taxes, child support, and contractor’s fees. These liens stick to the house like glue, until the house is sold or foreclosed on. In any of these situations, title insurance will step in to help. One important note on co-op housing: If you’re buying a co-op, where you won’t actually own real estate (just shares in a corporation), no title insurance is needed. 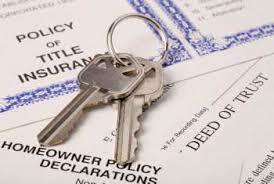 Title insurance is typically a combination of two policies: a lender’s policy and a borrower’s policy. Your lender — assuming you’re taking out a mortgage loan — will require that you buy a lender’s policy (also called a “mortgagee’s policy”) to pay for its legal defense costs and reimburse any mortgage payments you can’t make because you’ve lost the house to someone else’s claim on it. The lender may also require you to buy an “owner’s policy,” covering your own legal fees and other losses, as yet another step toward protecting the lender’s collateral. Even if your lender doesn’t require you to buy an owner’s policy, you should probably consider buying one anyway. Why do you need both policies? No preliminary title search (see below to learn about title searches), no matter how complete, can predict when a long-lost relative or heir will turn up or whether paperwork buried for years under a misspelled name will reveal a claim concerning the property. The lender’s policy will kick in to defend such claims and, if all goes well, might resolve the matter against whoever brought it up. But what if the court decides that, for example, the long-lost relative is in fact the house’s true owner? Then the lender’s policy will reimburse the lender for what you owe on the mortgage — but you’ll be out the amount of your down payment and other principal payments, not to mention that you’ll no longer own the house. The owner’s policy, however, will cover your financial losses (though you might still have to move out of the house). No one wants the past to come back and bite the home buyer this way, which is why the title insurance company will perform a “title search” as its first task before issuing the policy. (Or your attorney may handle this, depending on which state you live in.) The search involves combing through public records concerning the house — including past deeds, wills, trusts, divorce decrees, bankruptcy filings, court judgments, and tax records. The resulting preliminary title report (sometimes called a “title insurance commitment,” “commitment of title,” or an “encumbrance report”) gives everyone a chance to eliminate trouble spots before proceeding with the sale — or to call the sale off, if anything too serious is uncovered. It also lets everyone know the conditions under which you’ll be offered insurance. For example, some things that can’t be known or cleared up will be excluded from coverage. Fortunately, you shouldn’t be the one who has to act on any title defects. Since you’re being promised clear title, any clouds that emerge are the seller’s problem, not yours. The closing agent will normally call the seller’s real estate agent if the report shows a defect. Most sellers agree to pay off any liens through a deduction from the purchase money at closing.